Captivate and mesmerize with your beauty using the Crimson Amulet collection. This palette inspired by the film “Dark Shadows” comprises of 24 matte and shimmery lush eye shadows, 5 intoxicating blushers, 1 luminous highlighter, 4 succulent lip colors, 1 HD Studio eye shadow base for a more intense eye shadow hue, and 1 extreme black liquid eye liner. 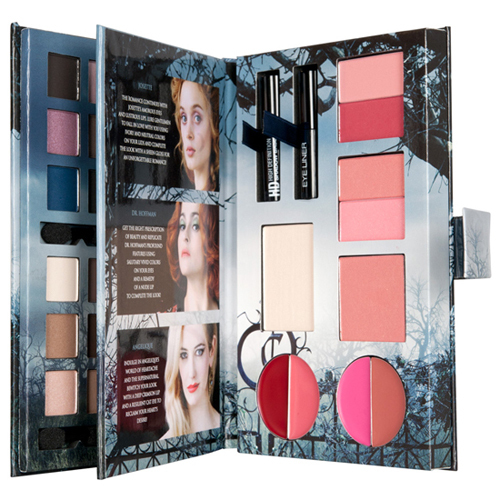 Recreate the enticing female characters’ in Dark Shadows using the collection! A creamy, dreamy lipstick with a velvety smooth finish and hyper-glamorous shades for every look and every inclination. 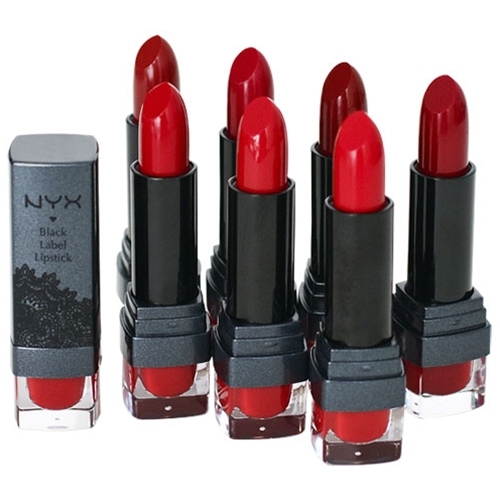 NYX's Black Label Lipstick has rich emollient properties that ensures the color glides on and hydrates your pout at the same time. From Extreme Red to Earthy to Frosted Pink, Black Label Lipstick is available in 96 lip smacking hues.